Firuzeh Mahmoudi didn’t mean to start a human-rights movement. It was June 20, 2009, and in Berkeley, California, the American-Irani, who left Iran after the 1979 Islamic Revolution, watched on social media as tens of thousands of reformist Iranians protested on the streets of Tehran at what they saw as a rigged election. Within three weeks, the event had commitments from 110 cities. At the march, on July 25th, 2009, Mahmoudi counted 110,000 people, including three Nobel Peace Prize laureates. For Mahmoudi, the march was a revelation. 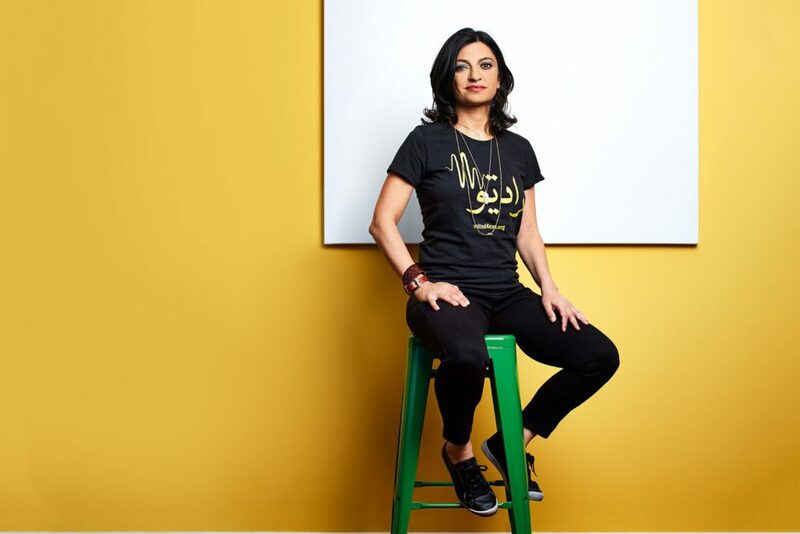 Born in the US, she lived in Iran between the ages of one and 12, before her worried father brought her back in 1983 (leaving her mother, who did not get out for another ten years). Now she felt she was reclaiming her heritage. She left her job and started a nonprofit, United for Iran, in Berkeley. With $150,000 (£115,000) in seed funding from George Soros’s Open Society Foundation, the nine-person group organised rallies – on the anniversary of the global day of action it arranged protests in 88 cities – and documented human rights abuses. (Its Iran Prison Atlas records the identity and treatment of Iranian political prisoners; there are currently 699, held mainly for national security reasons.) But as the regime cracked down on dissent, conventional NGO activity became increasingly difficult, especially from outside the country. So, in spring 2016 Mahmoudi sought a different solution. The result was IranCubator, a contest to make Android apps that protect Iran’s oppressed by promoting civil liberties. Rather than stirring dissent, the aim is to build basic digital services that slyly promote civil liberties. One app, Toranj, provides victims of domestic violence with access to therapists and family lawyers. Another, Hamdam, is a period tracker, which also features information about taboo subjects such as STDs and marriage contracts. Like many of IranCubator contributors, Hamdam’s creator, French-Iranian gender-equality activist Soudeh Rad, can draw on personal experience: she was beaten by her husband in Iran, but, when she asked for a divorce, she says, “I realised I had no rights, like the right to file a divorce, the right to leave the country without permission. When I wanted to leave Iran and come back to France, I realised my husband was trying to ban me from leaving the country.” She took the first flight and left. Mahmoudi agrees. “We have to let the people of the country lead this conversation. They want evolution not revolution. If your leaders get killed and get imprisoned, how are you supposed to build them up and give them the experience they need to run the country? If you do a transition little by little, then it takes longer but there’s less risk involved.” It’s not dramatic, but it could be effective – and for the exiled Iranians desperate to take action, it’s something, when the alternative is most likely nothing.